The name says it all! 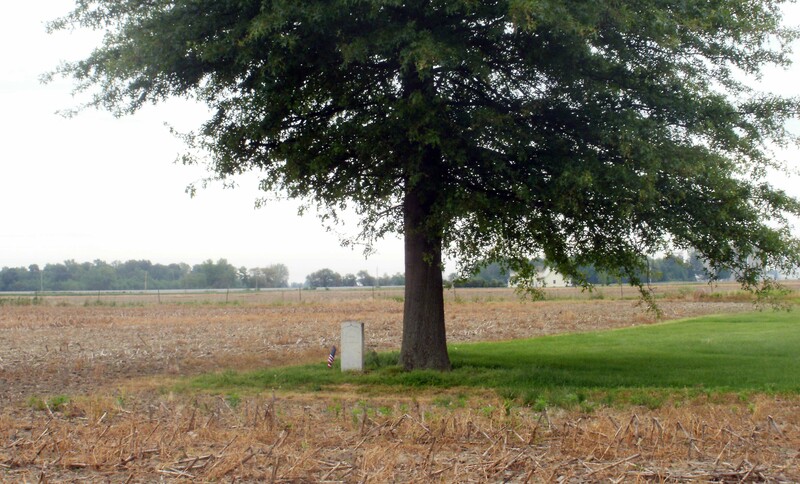 One Man Cemetery is located north of the junction of South 25W and State Road 28 (150S) just east of Tipton. 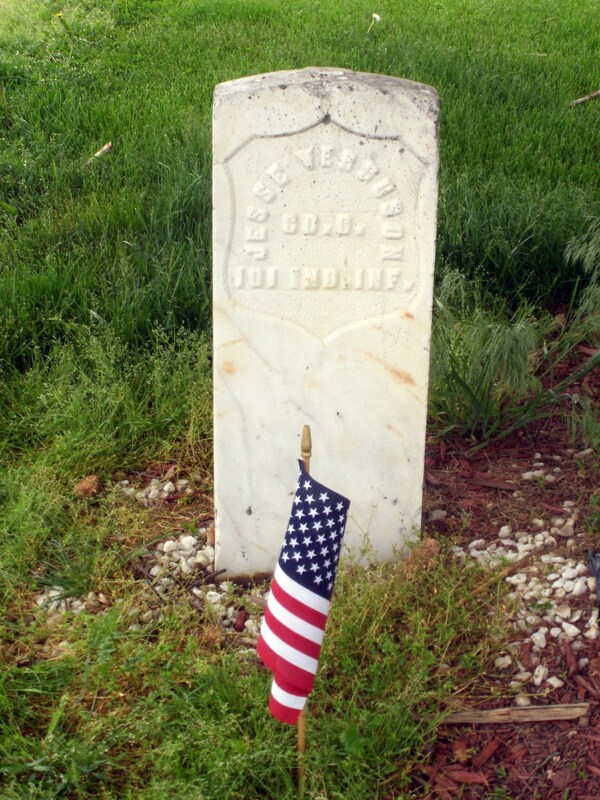 Not much is known about Jesse Verguson other than his service in the Civil War. He enrolled in the Union Army August 15, 1862 as a private and was mustered out September 18, 1862 as a private. The other few facts were gleaned from the 1860 Census of Cicero Twp. and his sons' Charles L. and John obituaries. Further research of this unique cemetery continues.